There is a popular kind of atheism strutting about these days. Really, it's as ancient as that cry to Christ to "come down from the cross if you truly are the Son of Man." Now I'm not at all shocked that certain people question the reality of Jesus as Savior of the world, the reality of miracles, even of God's existence. This is an age that demands proof and empirical data. For many, seeing still necessitates believing. And we can't see God. Or at least the god many expect we should see. Aye, there's the rub! This man-made idea of the God we demand appears at will, like a Genie, hovering over the lamp of the world. He fixes all boo boos immediately, or holds an invisible Hand out to stop them from happening in the first place. He answers all prayers, even the really self-centered ones we should be ashamed of actually asking. 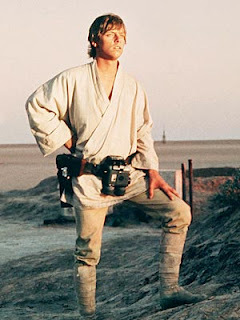 Or He is like the Force, able to be tapped into at will for all answers (like Google) and capable of making things easy without a hard struggle at all on our part. I'm sorry, but as a parent, I can already foresee the kind of kids this would leave me with: jello headed, lazy, whining narcissists. No thanks. God the Father wants heroes. Strapping lads and lasses ready and willing to build a world of selfless love for all, passionate about co-creating and pro-creating Heaven on earth with Him as their Beloved! Here's the revelation of the Real God, and I must confess I love His style. He plays "hide and seek" with us. He appears then disappears. He draws us into the mystery of things, and lies hidden in their very hearts. He is both immanent in all things, bursting from their ontological centers, and He is transcendent above all things, weaving the fabric of the Universe together in absolute distinction from it. He is constantly changing the game. We expect fire and He appears in water. We cry for revenge and He spills forth mercy. We want a trumpet blast and He whispers. We fear to climb a holy mountain so He walks with us in the valley of the shadow of death. We look for a king but He comes instead in a crib. Maybe in all our searches, and in all our questions, and in all our demands for the Real God to "stand up" we should try getting down, on our knees. Perhaps we're looking in the wrong place. I've gotten the Divine glimmer a number of times in my life. It was always through the little way, the broken path, the fog of the struggle that I found Him. Gilded angels and swirling clouds and trumpets are nice, but they pale in comparison to the dark night (ironically, for even the darkness is as day to Him!) Being full really can't compete with the hollow ache that keeps us searching for More. The barren branches of December trees against the blackness point to a realm clustered with stars. I've learned that He yearns for us to yearn for Him. He looks for us to look for Him. That's what lovers do afterall. When we learn to see and experience this reality, we discover that ours is a humble God. In stooping low, in listening, in looking with reverence we shall see Him. And be seen. Love stirs even now in that little crib. Hush, hear the heartbeat in the tiny chest of the Infant God. See His breathing now, soft and measured in time and space! See what Love has done? Love has come down to us. Love is made little for us, and we must become little for Love. It is the only way. So we've had nearly all of Advent pass by and I have yet to nail all the new responses in a single Mass. How are you doing with that? Sometimes I get all the way to the final blessing, shiny card stock with bold responses in hand, and I toss out the old "and also with you." DOH! Old habits die hard I guess. But the kids will get it, rest assured. Yes, we old heads often have deep ruts in the mind and heart, don't we? Change is never easy. It takes a constant act of the will and an attentiveness to the present moment. But the tracks of the years can really lock us in! Even with the best intentions, we can stay stuck in the old ways, the routine, and the stale responses to events and encounters around us that are actually very new. For the children, however, the trail ahead is fresh. In a certain sense, all they have is the present moment. Their wonder meets the world head on, and everything is a "wow." Perhaps this is why Jesus urged us to become like them, these little bundles of energy and emotion. They live in the Now, and they respond to it with passion! OK, here we go then. Bring on the next celebration of the Eucharist! I'm stepping in with wide-eyed wonder! God wishes us to be present and free of the baggage of the past. I pray that same sense of presence be with your spirit. Wink wink. The long awaited trailer, the awesomeness of which cannot be measured. I particularly love the chanted song of the dwarves in tones rich and deep as the mines of Moria themselves. Yeah, I'm totally nerding out on this. December 2012 can't come soon enough! Christmas is crazy. And I'm not talking about the mind-blowing, superfluous leap of the God-Man Jesus into our world, becoming one of us, marrying himself to our humanity forever in order to love us into his eternal embrace. I'm talking about the commercials. We all know how strongly we're pressured to purchase at this time of the year. As a father of two little ones, (and one of them exceptionally wide-eyed and wonder-filled in this season of lights), I confess it ain't always easy keeping it Franciscan, if you know what I mean. But Advent is our saving grace... It shimmers like a little oasis in the midst of a desert of doodads and thing-a-magigs that would be "perfect" for so-and-so IF they show up at that party at so-and-so's. While the malls and the movies and the music play on their siren songs, luring us into the spending frenzy that Christmas can become identified with, Advent is the road less traveled. The still, small voice. A winding desolate path, clear, open to the skies, calling us to walk it. It has nothing on it, but Everything swirls above it; the plan of God to let His Fire fall, to consume the doodads and the thing-a-magigs we cling to. To hollow us out, to make space for a new born. So this season, as we move through the clutter that can become Christmas, let's recall Advent's simplicity. Let's not sweat the small stuff, the little distractions and speed bumps we encounter on the way to the crib at Bethlehem. Let's look for the crazy love of God breaking through the crazy commercialism of these days. This wonder will sustain us, when the crumpled paper and ribbons fall away. This love will truly fill our hands and never fade, it will touch our hearts and truly satisfy. Isaiah longs, as we all still do, for the veil to be pulled back; for Divinity to reveal itself to humanity. Little could he dream that soon Divinity would actually conceal itself in humanity! If he only knew what God was about to do! The Author will enter His own Story, and the Potter Himself become clay! Isaiah’s classic image of God as the Potter and we the clay has a very incarnational feel to it. And a feel of mystery too. Imagining ourselves as clay means we cannot see, we can only feel. We feel the Master’s touch, feel in our “earthen vessels” the movement of the Master’s hands: the pinch that stings, the pressure that simplifies and smoothes out our lumps. If we yield to Him, we sense in our very being the delicate shaping and reshaping of His hands. Through life’s experiences, it is the fine-tuning of Him making us His masterpiece. This is Advent, the expectation of the great art our Father will make of us if we just let Him spin the potter’s wheel, grafting spirit and flesh into Nature’s finest creation. So let us let Him whirl us about in this workshop. This messy, dusty workshop of sanctity. And let’s watch the excess of layered clay be stripped from us, and let’s be emptied, made hollow for His purposes. Hollow vessels so designed to be so filled with His Word, His love! “No ear has ever heard, no eye ever seen, any God but you doing such deeds for those who wait..."
What a gift that the message of love, truth, and beauty regarding the human body and God's plan is reaching the masses. A wonderful conference was just held in Rome and I pray the results will be fruitful! The Libyan Sybil, pictured above, is one of my favorite figures on the ceiling. 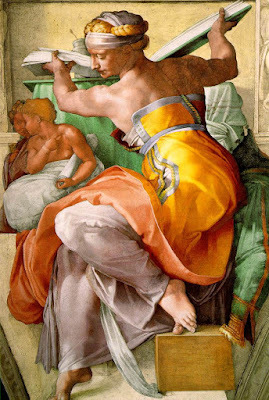 The word Sybil means “prophetess” or “seer” - they were women in the ancient Greek world, dwelling in the temples and holy places, who supposedly read the signs of nature and foresaw the future. In Michelangelo’s work she hovers alongside the Prophets and Patriarchs of the Old Testament, showing us how God speaks to and through all cultures in powerful ways, leading all to the altar, all to Jesus. So often in the culture at large, the human body comes to us in distorted images, sound bytes, and scenes from films. The media covers over what God made bright and beautiful, darkening it and distorting it. Deep down, we know it needs a restoration. This beautiful figure of a woman was not painted to stimulate lust, but love and longing. Her exquisite form turns in a graceful glance away from a scroll with its words of pagan wisdom to face the altar far below where Wisdom Itself took flesh. As a young student of the arts in the late 80‘s and early 90’s, first seeing this restored beauty, the Sybil, the Woman, I felt drawn into something mysterious. She was inviting me, pointing with the very language of her body to something bigger than herself, stronger than my own desires, to something much deeper than the satisfaction of the sensual appetite. 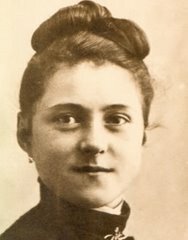 But it was in fact her beauty that led me to quench a spiritual hunger for God, the Source of all Beauty. From the sign to the sacrament to the soul of the reality. Give yourself a gift today; visit the online Vatican collection of these restored images and drink in their grace and beauty. They point to the Love that shaped the world, and they can reshape our own vision too! Originally written for the TOB Institute newsletter. God speaks in every language and to every heart through the visible world and through Sacred Scripture. 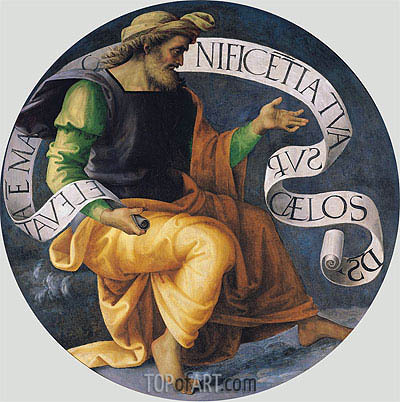 But all of the universe cannot contain the Divine Whirlwind of His Trinitarian Love; Father, Son, and Holy Spirit. 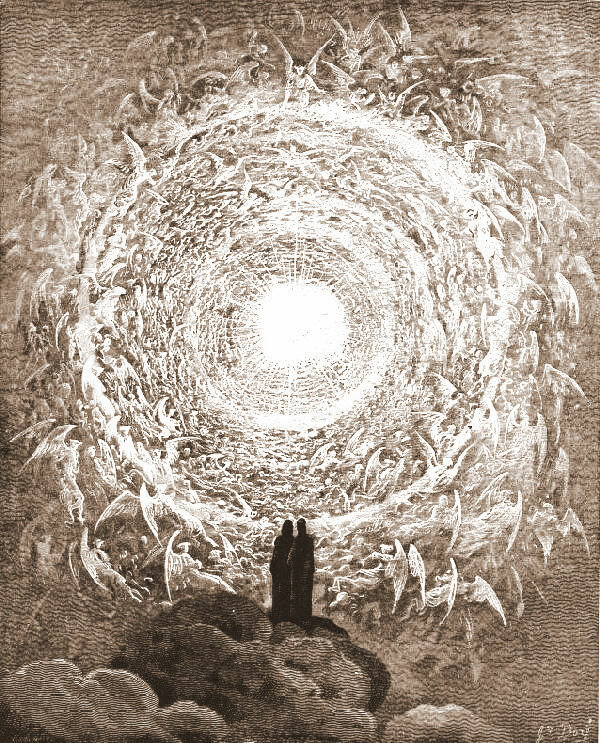 For humanity, the sacraments are our access point, our invitation into this Mystery of Forever Love, of the Exhilarating Mystery of the Divine Other. But God is not bound to those sacraments; He can work outside of them. The Eucharist is absolutely the source and summit of the faith, but it also shoots off tiny waves and streams of life-giving water that trickle into everything and can draw everyone back to that source. Enter Trevor Hall; dreadlocks, tattoos, Buddha beads and all. He was born in South Carolina, grew up in California, and is currently rocking the music scene with his spiritually charged lyrics and reggae beat. Deliriously positive, Trevor’s music rushes over you like a mountain of salt water, then lifts you up and takes you for a ride on the crest of a towering wave. He is also an avid surfer, maybe that’s why his music swells? To introduce you to his music, I think I'll follow the pattern of the sea. Waves come in sets of three, so here are three samples of his mystic poetry, and I suggest you ride whichever one you catch, or maybe just the one that catches you. Wave One: This one is fast and furious, like a wave off the Australian coast; from the song Volume. "Rush like a river from the highest mountain, drink from the fountain and stop your counting. What kind of wine does he have in his tavern, oh so enchanted and sing like a mad man. Mad with the love of a wife for her husband, child or mother, sister or brother... sing for the Most High, sing for no other. 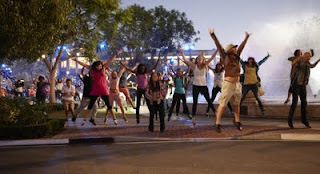 We are all notes in this eternal song, God plays his flute and we all dance along." St. Theresa of Avila in her commentary on the Song of Songs once spoke this way. She sang of the King's wine cellar, of drinking deeply, and of losing oneself in that intoxicating love of the Divine, the Most High. Here we see the near limitless expanse of divine love opening before us. What a treasure that Trevor has slipstreamed into this mystical way, and in his wake he draws so many fans with him. It blasts a cold, obligatory type of religion out of the water doesn't it? It’s a reminder that we were made above all for love. Merely following the rules doesn’t seem to answer the heart’s deepest yearning, does it? Wave Two: Bubbly, strong, and playful, like a California tumbler. From the song 31 Flavors. "Tell me how many songs that I must sing before I can see you in your glory, hear your whole entire story, bathe inside your golden, golden sea?" This verse is a true hymn to love. Streams of praise pour from him and love draws him up and out of himself! It’s hard to say if he is speaking to a woman or to God Himself! I believe it can work on both levels, like the Song of Songs. 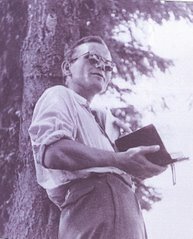 Blessed John Paul II said that the great Scriptural hymn is not just a praise of human marriage, or only of spiritual union of Israel with God. He said it’s both! What a blindingly brilliant thing it is to be able to say to another human being, "Come in... look around. The place is yours." What a crazy thing it is to say to another person, (you with all of your sins and weaknesses, they with theirs) "Let's become one. I give you permission. I turn over the key. What's mine is yours and what's yours, I ask of you, let it be mine." And what a greater wonder that Jesus desires this with us in the Eucharist. If any one is scandalized by this Divine intimacy, just read John 6. Wave Three: Soft and steady, like the waters at Avalon. This final wave from the music of singer/songwriter Trevor Hall is the most mystical. In the song Unity he is pushing the very edge of the heart’s reach for meaning in life. For this young man, guitar in hand and poetry in heart, it all boils down to one word; communion. It is powerful to reflect that this is the very same conclusion so many mystics and poets have made, including Blessed John Paul II in his powerful Theology of the Body. The human heart is made for Oneness, for Communion, for Unity. This truth is out there, on the sea of music and poetry. If we watch the waves (the radio waves), sooner or later one will come along that will take us further out and further into the Mystery than we ever imagined. This article was originally written and published for Phaith Magazine. and the most precious that he possess, even if he does not realize it, is family life. between life and death, between love and all that is opposed to love. 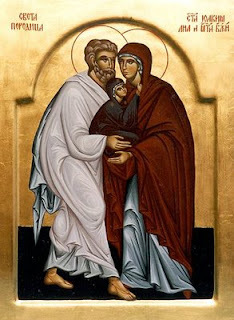 The family is the great catechism God has given the world. The work of our lifetime is to learn how to read it and then study it prayerfully. I would not recommend reading the lyrics to any of his songs, save this one. Perhaps a diamond in the rough, Lil Wayne has given us a glimpse into the broken hearts of women so tragically used and abused by "men" who are anything but men. Watch as the story of this girl is redeemed. An incredibly pro-life, pro-family, pro-woman message. Thanks to Aggie Catholics for the heads up, but be warned, the imagery in this video is graphic and at times disturbing. For those with eyes to see there is great hope. Maybe you've heard one or more of the following statements made in your various circles of life. "You Catholics put too much emphasis on the Virgin Mary." Or "Mary is a distraction! Jesus is who you should be praying to and through to the Father. He's the One mediator. Mary is only a human being!" I confess in the early years of my reversion to the Faith, reading the works of St. Alphonsus Liguori and St. Louis de Montfort, I struggled with the same concerns. 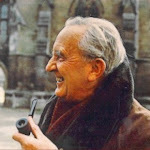 But by the grace of God I set myself to live within the tension of the question, rather than move too hastily towards an immediate answer (We Tolkien fans would call that a very "Entish" way of thinking). 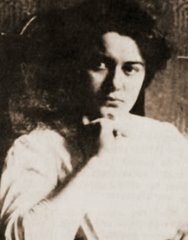 I tried to give the Church, which is 2000 years old, and these doctors and mystics of the Church who probably had the same concerns as I did at some point, the benefit of the doubt. I wore my scapular and prayed the rosary and I let the seed of Marian devotion germinate. Now at 40+ years old, I'm really starting to see it blossom. To say that looking at Mary distracts us from looking at Jesus is like saying that looking at a beautiful landscape distracts us from looking at the sun. We are drawn to look at nature's beauty precisely because it has been touched, graced, and illuminated by the sun. 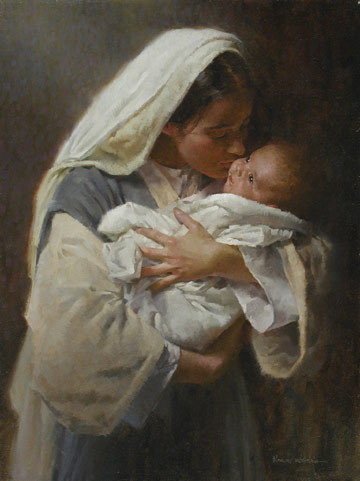 I look at Mary, I am drawn to her beauty, because I see the effect of the Son, Jesus, upon her. Why is Mary so important? 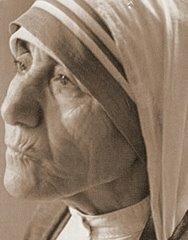 Why does the Catholic Church heap so much attention, so much focus, so many accolades towards this woman? For the same reason humanity is drawn towards art, music, poetry, and love. These created things occupy our hearts and minds because they reflect the Truth, Beauty, and Goodness of God, and so does Mary. They don't take away from God, they mediate His Reality. We might say they embody Him, but that would really only be true in Mary, in whom He took on a body... the Word became Flesh in her, and dwelt among us. So she is the masterpiece in the gallery of humanity. She is full of Grace. She is what we are meant to be; dwelling places of Divinity, tabernacles of the Most High. Mary is pure, she is the holy one. The whole one. Mary is the Queen of Hearts. Mary's open YES unraveled the knotted NO of Eve. Mary's YES brought harmony out of the disharmony of sin. All of our NOs shouted out to the Father throughout human history can never quench the great YES this one woman gave. Mary's great YES opened a window in the skies and gave Love the freedom to reign again in a human heart. And she can teach us, like a good mommy, how to speak. She prays our first word will be "YES." As our little princess Clare turns an historic ONE this Saturday (which we can't believe), I thought I'd toss up this fun little summer diversion. I have to say the Boy Wonder is a natural, and took extremely well to my direction ("surprised face!" "Throw this!" "Run over here.") Be warned there is a climatic cliff hanger. Part two should be out, oh, next summer. Life gets busy! I'm just glad they will have these little snapshots when they are 15 years old, to reflect on how cool their dad was, in his sharper moments. Or how nerdy. Only time will tell. I have a feeling nerdy will win out. Yeah! 1. He is Irish. Born in Belfast. 2. He is deeply mystical. Just listen to his Poetic Champions Compose album.... brilliant! 3. He is not a fan of the music industry's obsession with merely selling music. He wants to make music, the way spouses long to make love. Van reveals in his very body language that the music is bigger than he is. If you don't know this, then seeing him in concert for the first time can be a little befuddling. 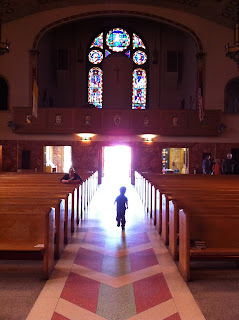 Like a priest before Vatican II, he often turns his back to the crowds. This is not to give them the cold shoulder in a sort of musical snobbery. He is leading us into the Fire. Like the priest turning to the East from whence the Son rises, he says "Look, He must increase, we must decrease. Come, let us worship!" Enter Van's "hymn" to the interior life, as I see it, from the album St. Dominic's Preview, 1972. After an opening line "All my love come tumblin' down", he sings simple lines over and over, delving deep within himself in a sort of contemplative prayer, urging himself and listeners to "listen to the lion, inside." "All my tears have flown, all my tears like water flown, for the lion... inside me." When Mercy hits the sinful human heart, in the place of vulnerability, the chink in the armor we wear daily to protect ourselves, the tears will flow. The question is, will we allow Him access? Can we look up from our own busyness, our constant chatter, and let His arrow pierce us through? Let Love come tumblin' down? In these days of endless distraction, we must attend to this Lion inside. If we want to sing the songs of Zion once again, from our Babylonian captivity, we must let Him have His way with us. Let the journey within begin, let Him lead us home again. Let the way be that sea of tears, on which we journey. "And we sailed, and we sailed, and we sailed... All around the world. And we sailed... and we sailed... and we sailed... Looking for a brand new start." When Oh Lord will this happen? Where will we hear Your Voice calling to us from the deep? When the muse speaks through the radio. When the poets and the minstrels of our day sing out, even unknowingly, those ancient longings, we can baptize the notes, wash the music in the water of grace. The music is never-ending and always beginning. Listen. Listen to the Lion, inside. Try to answer each of the following questions in five words or less. 1. What is the deepest desire of the human heart? 2. What is the center, the point, the meaning of life? 3. How I can be truly happy? 4. What does it mean to be a woman? 5. What does it mean to be a man? 6. What does God look like? 7. How can we bring about peace in the Middle East? 8. How can we end world hunger? 9. How can we know if there is life after death? 10. What is the greatest of the seven sacraments? OK, I’ve deceived you. There is a one word answer for each of these above questions, and it’s the same answer for each one. Can you guess it? Some scientists and philosophers have been trying for years to compile one overarching, all encompassing "Theory of Everything." I believe we have it already in our midst. Present in millions of places worldwide, nestled in golden boxes beneath glowing candles that never go out, for two thousand years the secret has been with us; the center, the point of everything, the Answer to our questions. You’ve guessed it… the Eucharist. This is the month in which the Church celebrates the Feast of Corpus Christi, the Body of Christ. We’ve been celebrating it for years. We’ve been proclaiming the wonders of the Blessed Sacrament for centuries. We don’t want it to be a secret! It’s the elixir of life, the miracle cure, the fountain of youth! Hmmm, really? 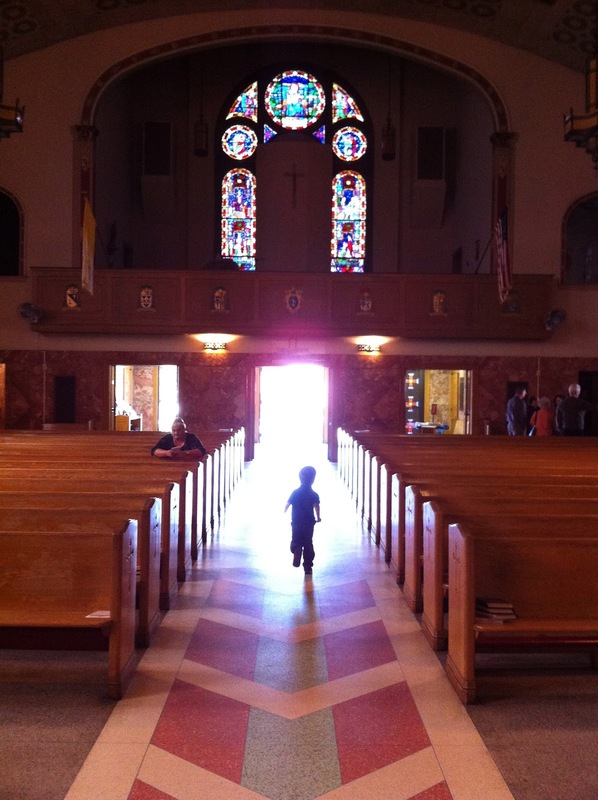 So why don’t people come a’runnin’ to our churches and our adoration chapels? Why aren’t the phones ringing off the hook asking for our daily and Sunday mass schedules? Is it poor marketing skills? Ouch. Oh we of little faith. I did some calculations in preparing this article and have deduced that since making my first Holy Communion at St. Anne’s Catholic Church in Browns Mills, NJ back in the 1970’s, I have received the Holy Eucharist roughly 4893 times. Wow. At this point I should be the spiritual equivalent of Chuck Norris, with the ability to roundhouse kick any temptation before it even rears its ugly head. 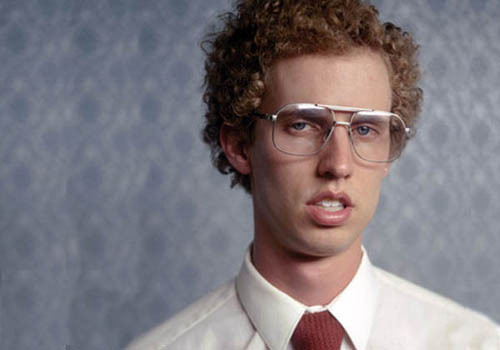 Sad to say, most days I feel more like the spiritual equivalent of Napoleon Dynamite. Nonetheless, the power for transformation remains, and is available at our neighborhood Catholic Church. You know when you think you have an answer, you say “It’s on the tip of my tongue!” Exactly. In the Eucharist, the Answer to our questions is literally in our hands. The Gift has been given, it’s just that we have yet to fully unwrap it! But the saints and mystics are our examples here, for they are the ones who opened wide the doors to Christ, and He filled them to capacity. 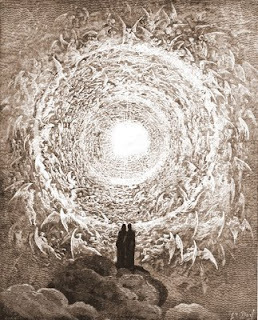 Being filled with God is our destiny in fact, for we are all capax dei – “capable of God.” Dr. Peter Kreeft said it well, “Your heart is like an infinitely large hole, and only God is big enough to fill it.” And in the Eucharist He has become just small enough it fill it. Do we believe this? Do I believe this? Or do I keep trying to stick cheap imitations in the hole in my heart? C.S. 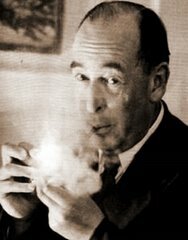 Lewis called it the long, sad story of humanity, this attempt at seeking something other than God that will make us happy. The singer-songwriter David Wilcox has a verse that looks at this hollow in our hearts; “There's a hole in the middle of the prettiest life, so the lawyers and the prophets say. Not your father, nor your mother, nor your lover's ever gonna make it go away.” But God can. When a road sign appears as we drive down the highways and byways, the oft repeated question comes, "What is it? What is it Daddeee?" The signs are familiar to us, we've passed them by a thousand times. But for the Boy Wonder, everything is new. So we repeat them, we echo those words for him and he responds. The Greek word is katekhein. We call it catechesis! 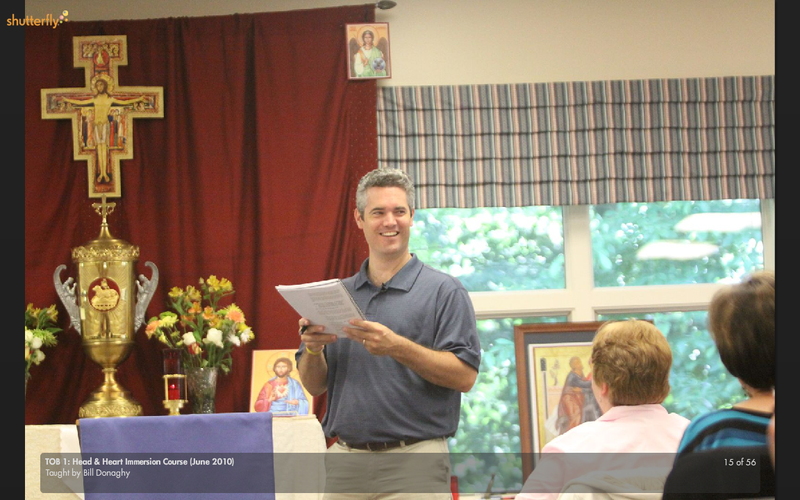 Last week, at a beautiful retreat center in Lancaster County, I felt privileged to teach an intensive course on Blessed John Paul II's Theology of the Body to over 70 people from across the country and the world. In a certain sense, it was the same "old" Catholic teaching we've heard a thousand times; it was philosophical, densely theological, soaked in scripture, straight up Thomism. But for many of us, including myself, everything was new. It always is. Why? Because we stepped out of our way to ask the question again, "What is it?" about the one thing we all, I have a feeling, have been assuming we already know so well; Christianity. 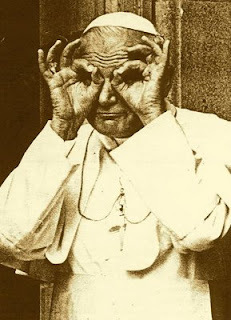 Herein lies the genius of John Paul II. He assumed nothing. He put his finger on the pulse of modern man, starting with himself, and asked the question, "What is it? What draws our hearts? What do we live for? Who am I? Who is God?" This past week, we immersed ourselves in the Answer he had rediscovered. And it was not a program, or a list of prohibitions or principles, or a philosophy. It was a Person. A Communion of Persons to be exact. It was Love, rekindled. "What is it, Daddeee? Christianity?" It is Heaven kissing earth. It is the Divine Rescue of the fallen who cannot get up on their own. It is the Romance that fires all romances, it is the embrace of all of our eros, our passion rising up, with all of God's agape, His Fire of Love rushing down upon us. It is our deep amazement, our deep wonder, at Life itself, at the superfluous beauty of the Gift! And behold, unless we become as little children, asking our questions again and again on the roads of this life, we cannot enter into that Wonder, which is also called... the Kingdom of Heaven. So it begins, the summer. I've a number of talks lined up and projects to continue but what I'm looking forward to most of all is getting The Boy outside. He is ready. The plan: pull into the nature preserve, and release him. Let him be drawn to anything and everything that he desires (except poison ivy), to see, feel, romp and roll through. Throwing rocks, splashing in streams, chasing geese. "We need the tonic of wildness" said Thoreau, and I heartily agree! A few years ago there was a famous (or infamous) lawsuit filed against a certain fast food chain, claiming they were negligent in neglecting to tell the consumer who burned herself while spilling coffee that the contents of said coffee cup could potentially be, get this, HOT. In lieu of this apparent no-brainer, many wagged their fries and threw up their cheeseburgers (sorry, that didn't come out right); "Are you kidding me? Everyone knows coffee is HOT!" Next Sunday in beautiful Lancaster County, PA, I'll be starting off a week long Head and Heart Immersion course on Blessed John Paul II's Theology of the Body. Sure, it's been around since 1984, and the addresses began in 1979, and the seed form for this whole teaching can be found in his epic work Love and Responsibility written in the 1950's, and it's all inspired by the Bible itself which has been around for some time.... but I would daresay we'll need a label on it... CAUTION: CONTENTS MAY BE HOT. Why? Because sadly many think that the Church is quite cool, if not cold, when it comes to the topic of human sexuality. It's all about the rules, the prohibitions, the commandments. "Control yourselves! At least until you're married!" And worse still, many imagine, sexuality has nothing to do with God or the "spiritual" life Catholics are supposed to be all about. Many seem to think of God's love as an insipid, disembodied, "nice uncle" kind of love. We think it's enough to be "nice" to one another, as God has been "nice" to us. Blah! CONTENTS: LUKEWARM. And we know what the Bible has to say about what is lukewarm (Rev3:15-16). The real version of the truth of who we are and what we're called to be is a blazing and consuming fire of love in the visible universe! The Catholic Faith is a living flame, carried by Apostolic runners throughout the centuries, despite any who have perhaps lost that fire in themselves or in their delivery of the Flame to us. But the Flame is the same that burns in the Sacred Heart of Jesus Who said "I have come to set the earth on fire, and how I wish it were already blazing!" (Luke 12:49), despite perhaps any poor filters that have carried it to you. We grow up hearing words like chastity and we think it's a cold no to passion, when in reality, it's "a vivid and separate thing... Chastity [therefore] does not mean abstention from sexual wrong; it means something flaming, like Joan of Arc." 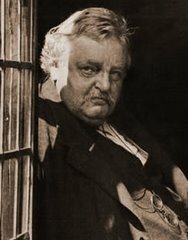 (G.K. Chesterton, The Daily News, Nov 4, 1905). The papal preacher, Fr. Cantalamessa, who gives retreats to the Pope and the College of Cardinals (talk about a high pressure job) said, "In the world we find eros without agape; among believers we often find agape without eros." This must change. It's all about rediscovering our Faith, human love in the Divine plan, and redeeming the language of love! As St. John Climacus once wrote, over 1400 years ago: "The chaste one is he who drives out eros with Eros." Lust pales in the light of true love. Human love is perfected and purified when it's open to the Divine Fire! Eros and Agape are meant to be married, and in Jesus they truly are. In the theology of our bodies too, they are meant for marriage. God is simply awaiting our response to His wedding proposal. Please pray for me as the teacher (holding the torch!) and for the students of next week's course, coming as they are from all over the world (from Haiti, China, Mexico and Canada and across the United States); the relay racers who will receive the flame. May we all be open to the Divine Love starting this Sunday, which providentially is the Feast of Pentecost! CAUTION: CONTENTS MAY BE HOT! Remaining $60 due by April 20 (checks payable to Catholic Young Adults of Chester County) There will be a waitlist if retreat is full at the time of registration. the greatest love of all; the love of God! as he leads us in a truly transformative retreat. There is a reality series called Mobbed, which features orchestrated and extravagant ways of sharing news with friends or loved ones (all via hidden cameras on the unexpected recipients). My wife and I watched an episode of a young man proposing to his girlfriend. A surprise mob of over a thousand dancers and singers, swept her off her feet at a restaurant and swirled around her singing “Everlasting Love” right out into a town square. The crowd parted and her beloved appeared, strode up to her, and on bended knee, proposed. Wow. It got me wondering.... Do the angels do this each time Jesus “proposes” to us in Holy Communion? I think they do. Lord, increase our faith! May our minds, our intellects, our study steer us through to the very edge of what we can know. And then let the wind of Your Spirit lift us beyond that veil. Faith and reason are like two wings on which the human spirit soars to the contemplation of Truth. Our little ones continue to amaze and delight us with their little blossoming personalities. Behold their cuteness!! A Course that could Change the Course of Your Life! Has your life, your marriage, your vocation been changed because of the life-giving teaching of Theology of the Body? Have you wanted to dive deeper into a study of TOB by attending our Theology of the Body I course, but just haven't had the chance? Don't miss out on attending our next course, offered June 12-17, 2011 at the Black Rock Retreat Center in Quarryville, Pennsylvania. Time for relaxation and networking with other TOB enthusiasts surrounded by 100 acres of beautiful wooded countryside. Daily Mass, adoration and confession will be available. For your convenience, round trip shuttle service from the Philadelphia International Airport is available. 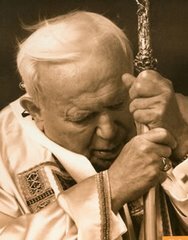 John Paul II's Theology of the Body is not only intellectually stimulating. The truths it proclaims are life-changing, especially for those wounded by the lies of our sexually-charged culture. This "Head and Heart" Immersion Course offers both stimulating academic study and seeks to facilitate personal integration of the material, helping students journey from "head to heart." The Theology of the Body Institute is pleased to offer this one-of-a-kind course in conjunction with the Institute for Priestly Formation and Creighton University. Theology of the Body Institute speaker, Bill Donaghy, will teach this immersion course. Don't miss this opportunity to join TOB enthusiasts from around the globe! This course won't be offered again until the Fall of 2011, so it will sell out quickly! What have past participants said about the course? "I came for the "head" studying of theology and philosophy, but I quickly learned why the course has the name it does, "head and heart." Bill began working in the fields of mission and evangelization in 1999. Through his previous work with the Pontifical Mission Societies, he has given hundreds of talks on the spirituality of mission to young people, sharing his experiences of missionary work in Haiti, El Salvador, and the Dominican Republic, as well as parish and young adult ministry in the United States. In October of 2000, Bill was chosen to represent the United States in a special tribute for the Jubilee of Missionaries in Rome. He was given a simple cross by Pope John Paul II and called by the Holy Father to “bring Jesus back to your country.” It was this incredible experience that led Bill to begin the Mission Moment; a teaching ministry dedicated to the New Evangelization. Through talks, retreats, and missions, Bill points to the very core of what we believe as Catholics; to the depths of the encounter, communion, and mission that God is calling each of us to in building "a culture of life" and a "civilization of love," in the words of Pope John Paul II. 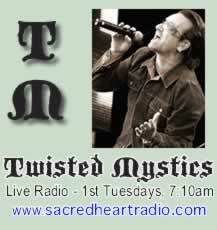 Bill is also heard on Sacred Heart Radio every month on the Sun Rise Morning Show, commenting on the music of our culture as seen through the lens of the Theology of the Body. Through collaboration with the Theology of the Body Institute, mentored and trained by Christopher West, Bill speaks widely on Pope John Paul II's groundbreaking teaching on human sexuality. He has spoken in Canada and throughout the United States to a variety of audiences. Bill holds an Associate’s Degree in Visual Arts and received his Bachelors in Philosophy and a Masters in Systematic Theology from St. Charles Borromeo Seminary. He teaches theology at Malvern Preparatory School, as well as Immaculata University, and lives outside Philadelphia, PA with his wife and two children. Courses Fill Up Quickly, So Register Today! Click Here to Download Registration FormPricing Information can be found on the registration form. You've heard it said many times, "Seeing is believing." But in the walk of faith, in the realm of the spiritual life (which always envelops and permeates our physical life) the opposite is actually true: "Believing is seeing." Don't believe me? Stay tuned! Two weeks ago we heard in Sunday's reading about Abraham's walk of absolute trust. "Go forth to a land that I will show you." In other words, Abraham didn't see it.... yet. And neither do we see this Promised Land... yet. Though we're told the Kingdom of God is among us, and within us, can you put your finger in it? Can you place your hand in its side? Not exactly. But faith can. Faith is like Superman's x-ray vision. The only thing blocking its power to "see through" things and events is human pride and self-righteousness. That's our Kryptonite. Our blind spot in the spiritual drive. The best things happen when we trust in the dark. When we can't see around the corner. Luke Skywalker closed his eyes before he dropped that photon torpedo that destroyed the Death Star. Elliot closed his eyes and trusted E.T. knew the way home in that classic bike chase, and the two of them suddenly flew over rooftops to freedom just when all seemed lost! Hawkeye's fateful leap through the waterfall into darkness in The Last of the Mohicans seemed utterly foolish but it proved the right thing to do at just the right time. The Indigo Girls sing "It's in our blind trust that Love will find us, just like it has before..."
There is a blind man in this Sunday's gospel. Jesus says it isn't his fault, or his parents fault. As Forrest Gump once said, "It happens." Suffering can blind us, but at the same time, it can give us a deeper vision of life. It's the suffering of the blind man that drew Christ in, after all. Maybe we need to look to those blind spots in our own lives. The tangled webs of our mistakes, the knots of confusion that we can't see a way of unravelling. Don't solutions often come after a good night's sleep.... in darkness? Maybe we should approach these mysteries with eyes closed in faith. The singer-songwriter Nicole Nordeman once sang "Maybe I'd see much better by closing my eyes." Sometimes it seems God has to do the closing for us to teach us to see in the dark; to see with faith. I don't know why but I've been in the dark and I know it's true. The Pharisees were the only blind people Jesus couldn't cure. They believed they had eyes full of light, full of the Law. Turns out they were full of something else. The problem was their eyes were so full of their own reflection of holiness there was no room for anything else! When Luke Skywalker was learning the "Ways of the Force" Obi Wan challenged him to go blind and gave him a helmet. "But with the blast shield down, how am I supposed to see!" he whines. "Trust your feelings Luke! Use the Force!" That's pretty good advice this Lent. But our Master says, "Use your faith!" 1. Do you want to be happy? 2. Are you distressed by the current situation in Libya? 3. Have you ever prayed that Lady Gaga and/or Madonna would turn their creative passion into a volcano of love for God and the beauty and gift of femininity? 4. 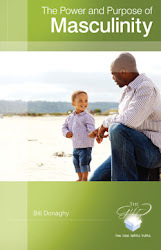 Have you ever experienced divorce in your family or your extended family and wanted it to go away? 5. Have you ever dreamed of finding perfect love? 6. Do you like food? 7. Do you enjoy intense and uplifting conversations about the deepest questions of life with people of all ages from all over the country and beyond? 8. Would you like to lose yourself (and find yourself) in a deep heart and head academic immersion into the inspired meditations of a man about to be declared "Blessed" by the Catholic Church? 9. Are you intrigued by Amish people? 10. Could you use a week of retreat with Holy Mass, adoration, confession, and praise and worship music? 11. Would you like to hear me sing 80's music at random intervals while quoting from Blessed John Paul II ? 12. Would you like to possibly find your soulmate. I'm just saying it happened once before. 13. Have you been hearing a lot of press about Theology of the Body and always wanted to learn more? 14. Would you like to celebrate Pope John Paul II's May 1st beatification in a really substantial way, one that would make him really happy, even happier than he is right now in the Beatific Vision (if that's possible)? If you answered YES to at least three of these queries, then really need to CLICK THIS. Then scroll down to June 12!! 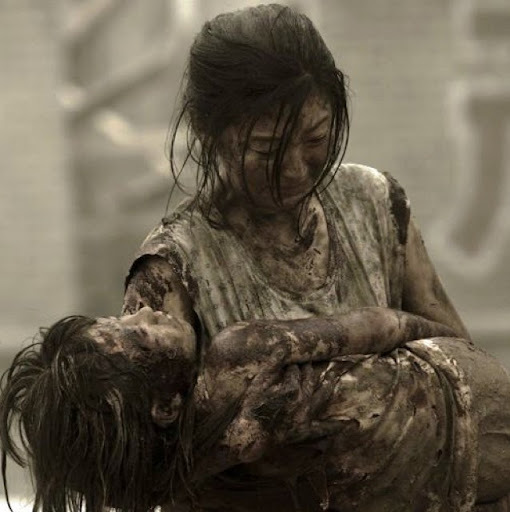 A mother and child in the wreckage of Japan. I can't imagine the heartbreak of this woman. I believe she is the child's mother but I have no information about the photograph. Regardless, this anonymous image has been repeated all over, again and again, since the earthquake in Japan. There is no comfort I can see except in the melding of this pieta with Mary's pieta; Our Lady holding her broken Son at the foot of that instrument of death, the Cross. I don't know what a person can do or say, or what a friend coming in to help can do or say. One can only hold the other. Feel the salt of tears, the sobs. The heaving chest, the blank stare. Absolute pain and loss requires absolute quiet and reflection; the earth feels the blade pierce and cut through, lifting up a patch of ground. Turning over the rich soul-soil of our inner life and exposing it to the light of day. It happens, but we don't like it. But at least we are not alone in it. The Sower sows the seed, the Word, into this empty space in the furrowed heart. We receive it. Never more vulnerable, never more ready than after the rains of sorrow and the storms of suffering. And we hope the seed takes and someday, life returns. One evening an old Cherokee told his grandson about a battle that goes on inside people. He said, "My son, the battle is between 2 "wolves" inside us all. What Shall I Say About the Irish? 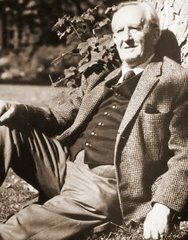 Sometimes irascible, quite inexplicable, Irish. And stubborn refusal to bow in defeat. fills his soul with delight. on which he will stand. he's good and he's bad. He's enamoured with beauty wherever it lies. in love with his God.